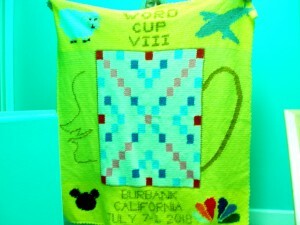 Burbank, California, is the place to be July 6 as we gather for the 5-day, 31-game, Word Cup tournament. We’ll greet old friends, meet some new ones, and play lots of competitive Scrabble®. Extra activities include a tour of the area, a trivia contest, raffles for a Mike Stevens board and a commemorative afghan, a silent auction, and more.